Fernando Reinares: "Kill Them! Who was Behind 3/11 and Why Spain was Targeted." Fernando-Reinares:-“Kill-Them!-Who-was-Behind-3/11-and-Why-Spain-was-Targeted.”-(¡Matadlos! / Quién estuvo detrás del 11-M y por qué se atentó en España). Galaxia Gutenberg/Círculo de Lectores. Barcelona, 2014. 320 pp..
Prof. Fernando Reinares, the prominent terrorism researcher at the Madrid Elcano Royal Institute, recently published the book, in Spanish, “Kill Them! Who was Behind 3/11 and Why Spain was Targeted” (¡Matadlos! 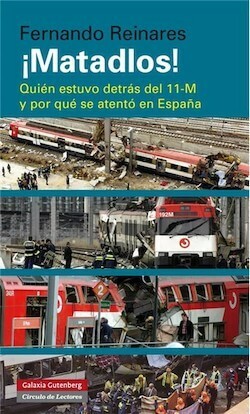 / Quién estuvo detrás del 11-M y por qué se atentó en España) which elucidates the circumstances of the March 11, 2004 Madrid train bombings, the most lethal ever jihadist attack in Europe. The book also describes in detail the rise of jihadist networks in Spain, in the larger context of jihadist terrorism in Western Europe, Afghanistan and Pakistan. It took ten years to publish the first authoritative analysis of the tragic events of March 2004 but the historical perspective is sometimes necessary to arrive at the right conclusions, especially in such an intricate field as international terrorism. 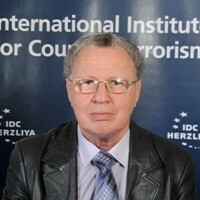 The fact that Prof. Reinares served as senior adviser on antiterrorist policy to the Spanish Minister of Interior following the 2004 Madrid train bombings, and as such had access to the people and documents relating to the attack, make his work even more authoritative as he combines his rich academic background to the practitioner’s work. The book combines two different styles. On the one hand Reinares provides a clear and short historical background about the major organizations involved in the jihadist activity in Spain and Western Europe like al-Qaeda, the Groupe Islamique Armé (GIA - Armed Islamic Group), Groupe Salafiste pour la Prédication et le Combat (GSPC - Salafist Group for Call and Combat), Groupe Islamique Combattant Marocain (GICM - Moroccan Islamic Combatant Group) or the Islamic Cultural Institute (ICI) in Milan. This information is important for professional as well as the dilettante reader. On the other hand his dissection of the jihadist network responsible for the March 11 attack follows the pattern of a criminal police investigation relating individuals to their personal background, professional and terrorist contacts, movements across Europe, Pakistan, Afghanistan and beyond, based on a huge amount of juridical and police documents, personal interviews, journalistic and academic sources. This information is extremely important for the understanding of the complexity of the network and its mechanism but sometimes difficult to digest for a more hasty reader. It would be advisable that the next edition of the book, in Spanish or English, to include several network diagrams to help understand this complex reality. A short description of the attack against the trains and the specific operational role of the individuals involved in its preparation and execution would also be helpful. 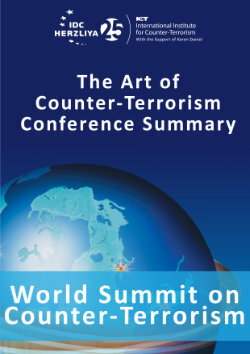 The book raises several important operational issues connected to the activities of al-Qaeda and other jihadist groups: the importance of the reconquest of al-Andalus (Spanish territory under Muslim rule during the Middle Ages) in the strategy of northern African jihadist groups; the role of Tablighi Jamaat movement in the recruitment of young Muslims to terrorist organizations; the radicalization of Muslim criminals in prisons and their contacts with the local criminal scene. Reinares demonstrates that the al-Qaeda Central command and not a loose ad-hoc local Islamist group was behind the Madrid attack. Many in Spain’s establishment and academic circles did not accept this evaluation at the time. Reinares rightly compares the Madrid attacks to the 9/11 attacks in the sense that they were planned long in advance and intended to provoke a huge number of victims. According to Reinares, the decision to attack Spain was made not in response to the Iraq War, but instead in December 2001 in Pakistan by the Moroccan Amer Azizi, an important member of al-Qaeda’s Spanish Abu Dahdah cell dismantled after the 9/11 attacks, and that the Madrid bombing network began its formation in March 2002, more than one year before the start of the Iraq war. According to the information provided in the book there is no doubt that Amer Azizi, who took refuge in Pakistan and became a senior figure in al-Qaeda’s military command, had a central role in the building of the Spanish jihadist network and the planning of the attack. However, to conclude that the decision to attack Spain was mainly the result of Azizi’s desire of vengeance after the arrests and trials of Abu Dahdah’s cell members and the operation used the Western intervention in Iraq as a favorable pretext is a bit farfetched. It underestimates al-Qaeda’s strategic thinking at the time that it had to challenge UK, Spain and Italy’s role in supporting the U.S. army fighting in Iraq and saw Spain as the weakest link in the Western military coalition and a change in Spain’s position as trigger for a domino effect. Prof. Reinares stresses the difficulties and constraints of the law enforcement forces in challenging the threat of the jihadist terrorism in the juridical framework of a democratic state. Proof for this the survival of part of the Abu Dahdah’s network after the arrest of those notoriously involved in the 9/11 plot in the U.S. and their participation in the 3/11 plot in Madrid. The Spanish authorities understood the lesson of 3/11 and Spain became probably the most successful country to foil jihadist attacks on its soil. On the background of the growing threat from jihadist networks and foreign fighters in Europe and around the globe as a result of the civil wars in Syria and Iraq, the conflicts in Libya, Somalia, Nigeria or the Sahel, Fernando Reinares’s book is an important tool to understand and prepare for this present and immediate danger. Hopefully an English edition will be published soon for the larger public to have access to it.